Welcome to Powell Feed of Center Point. We are a locally owned family feed store that has been in Center Point for over 30 years. We are proud feed dealers of Lyssey & Eckel, Ful-o-Pep, Excel, ADM, and Moorman. In addition to our wide variety of livestock and wildlife feed, we also stock just about anything you may need for lawns and gardens, farms and ranches, pet foods and supplies. We take great pride in providing friendly service. We carry our own line of signature horse feed that you can only get here in Center Point. Our signature labels are All-Purpose, Super Glo, and Cowboys Choice. Check these out in “Our Feeds” section. 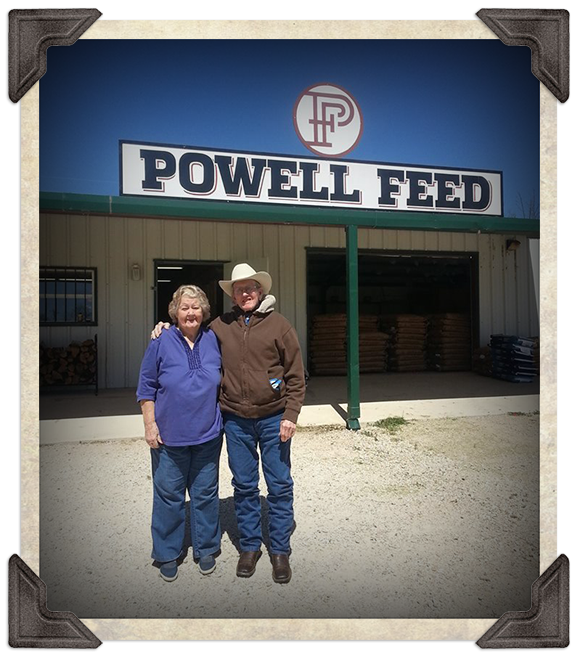 Our family has been in the feed business for over 65 years. We are proud to be able to serve our community and look forward to meeting and helping you with your livestock needs. Here at Powell Feed we are committed to providing quality products at fair prices. or call before you drive out to make sure we have what you're looking for! We can order just about anything from your favorite brands! Find the perfect gift for that special person on your list or the winning show stick for the county fair. Whatever you are looking for we can find it! Contact Us! Powell Feed shared a link. Treating your layer hens to a little TLC and clean surroundings results in delicious, golden-yolked eggs for your morning breakfast. Did you know that you can tell whether an egg is fresh or stale by dropping it in water? A fresh egg will sink, but a stale one will float. Here are some more farm facts about eggs.